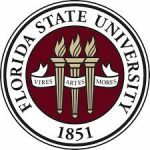 RSVP for the Scholarship Awards Reception on April 28 – Alumnae Panhellenic of Tallahassee, Inc. Alumni Panhellenic is hosting a Scholarship Reception on April 28th from 5:30pm – 7:00pm at the University Center Club in Doak Campbell Stadium. The event will be held in the Faculty Room on the 6th floor. Included will be appetizers and 1 drink. The event is $15.00* and the proceeds will go to our annual scholarship fund. There will also be a silent auction. Please register online so we can plan accordingly or call Karen Ellis at 850-559-8002 to RSVP. *If you previously registered and paid for the February luncheon, please use discount code april28 when you RSVP for the Scholarship Awards Reception.